It costs a lot of money to run a city poorly. Raising taxes to pay those high costs helps keep a city's residents poor. It is an unfortunate downward spiral and Philadelphia is – once again – caught up in it. Philadelphia enjoyed a pretty good run from the mid-1990s to the late-2000s when city leaders committed to lowering Philadelphia's tax burdens. It was the near-universal public-policy conclusion that the city's high tax burden discouraged job creation, fleeced families who were struggling to make ends meet, and put Philadelphia at a competitive disadvantage compared to other cities and surrounding jurisdictions. Mayors and city council members were disciplined each year to budget for the city's needs while reducing tax rates year after year. That does not mean they were forced to do more with less. To the contrary, while the city reduced tax rates, the city budget enjoyed increased tax revenues and the city committed to some ambitious increased spending even as it was reducing tax burdens. For example, regardless of whether they were wise investments or not, large (and ongoing) expenditures for the Neighborhood Transformation Initiative and for the Eagles/Phillies stadium-finance deal reshaped the city's budgeted priorities even as the long-term, tax-rate-reduction program continued. It seems that, for the city, there's never money to do it right, but there's always money to settle a lawsuit resulting from doing it poorly. But, that discipline is long gone and recent mayors and city councils have reduced those modest tax-rate reductions and raised taxes again and again. Who would have thought that John F. Street would enjoy the distinction as the mayor who reduced tax rates the most and increased tax rates the least among all of the mayors in the last half century? Of course, when they ran for their jobs, city politicians talked a lot about funding new initiatives by examining city priorities, reducing waste, or implementing efficiencies. But, once elected, they seemed to forget about all that and, instead, ask to be saluted for "courage" for ignoring their campaign rhetoric and seeking tax increases (again and again). It is not courage. It is laziness or a lack of creativity or a lack of administrative capacity. 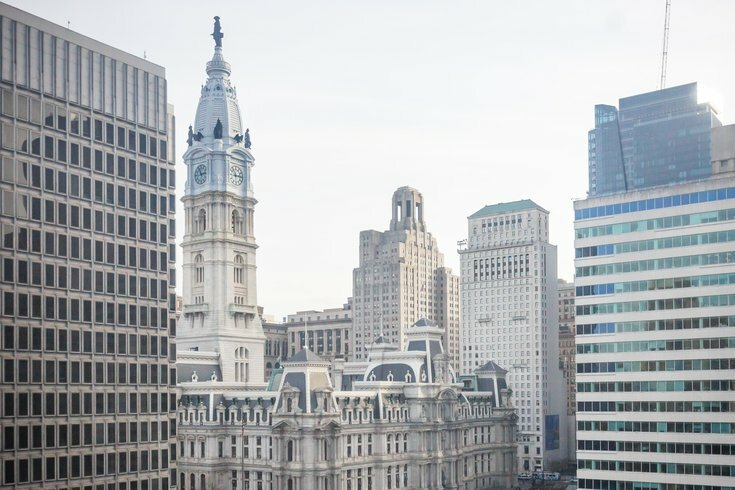 Constantly increasing the cost of living and doing business in Philadelphia without improving the performance of city government is a losing formula for a city that needs to win more. The new contract for city police pays hardworking officers more, but failed to achieve badly needed reforms to improve police operations. I'm happy my police pals will be paid more for their heroic efforts, but it is still far too hard for the city to get bad cops off the force. The new contract for city teachers pays deserving teachers more, but failed to deliver on so many areas that could improve our children's in-school experience. I'm thrilled that my teacher buddies will earn more money for their great work, but my children will still learn in classes with an overly large number of students and in buildings that suffer from disrepair. If we want to run this city better, we need to continue to reduce our high tax burden while also improving the quality of city services. To do so, we need to improve the way government works. It costs more to run government poorly and it would cost less to run government better. This week's headlines provide a few examples how running government poorly increases the cost of government for a city with too much poverty. In one terrible incident, a monster pothole measuring six inches deep and 16 total square feet caused a bike rider to lose teeth, sustain multiple fractures, and incur a spinal-cord injury in an ugly crash. After learning that the city had failed to properly repair the pothole and that the pothole endured for months prior to the bicyclist's calamity, a jury awarded the injured biker a total of $3.2 million. Revelations that the city's District Attorney's Office maintained a list of police officers deemed too untrustworthy or compromised to call as witnesses for criminal cases underscore the rippling impact of police misconduct. In fiscal year 2012 for example, settlements involving civil-rights lawsuits cost the city more than $14 million. Want a way to reduce city costs? One way to do so is to run the city better so malfeasance and poor performance do not cost city taxpayers so much. In addition to the $14 million in civil-rights-lawsuit-settlement payouts in fiscal year 2012, Philadelphia paid out nearly $5 million in cases involving motor vehicles and another $5 million in non-automotive incidents, $4 million in cases involving sidewalk falls, more than $1 million in cases involving highway falls, and another $2 million in cases of city breach of contract. My pop-pop used to always say, "There's never time to do it right, but there's always time to do it twice." It seems that, for the city, there's never money to do it right, but there's always money to settle a lawsuit resulting from doing it poorly. We can do better, but we choose to not put in the effort to do better. Here come more tax increases. If recent history in Philadelphia is a guide, unless we change the way we run the city, we'll see even more of them in the coming years. 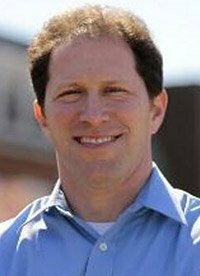 Brett Mandel is Democratic committee person in the 8th Ward/28th Division and former director of financial and policy analysis under former City Controller Jonathan Saidel. He is a lifelong Philadelphian.